青木定治 Sadaharu Aoki’s バンブー Bamboo , his signature creation which first led me to know his works and made me very curious about him. The aesthetics of it is really quite astounding. Well, none of the clever use of avant garde juxtapositions one would find in the works of revolutionaries like Christophe Adam of course, but its beauty is sheer sublime. There are some works which ranked as being “unparallel” in design and built by many. Pierre Herme’s Plasir Sucre is one of them, Gaston Lenôtre ‘s L’ Concorde is another and more recently, Christophe Adam’s Eclair Aquatique. 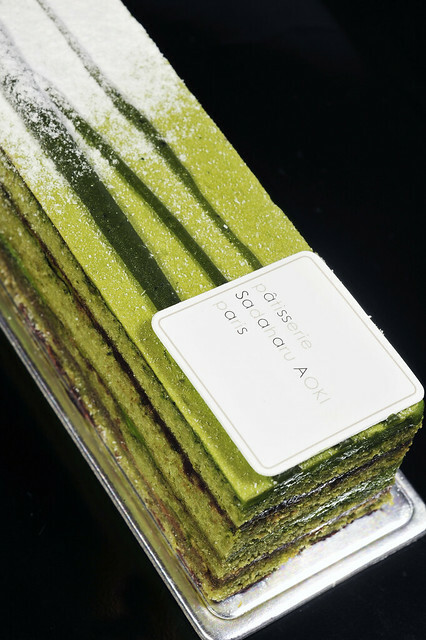 Surely Sadaharu Aoki’s Bamboo must stand amongst this stellar cast. Or must it?